Uganda and Rwanda adventure safaris. 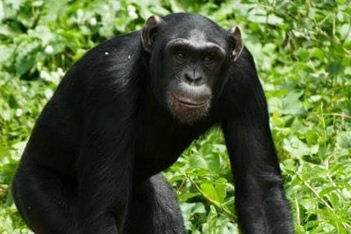 Our 14 days Uganda and Rwanda Exclusive safari is the most interesting and memorable safari planned ever, it gives visitors an opportunity to maximally explore both countries of unique biodiversity. This safari is intended to provide visitors with great experiences through Uganda’s and Rwanda’s Spectacular parks. Come see the great wonders of African wrapped up in 2 countries. It is so amazing and informative!! Having a great wildlife game drive on our Uganda and Rwanda adventure safaris with previous days, enjoy your breakfast ready for guided Chimpanzee/primate walk along Kyambura Gorge as we visit the habituated chimps through the gorge. After primate walk, proceed to Ishasha. 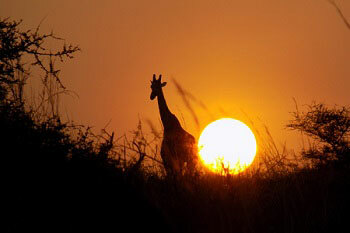 You will drive along the deep and wide dry craters that are occupied by savanna grasses and acacia. The drive takes you through the unique western rift valley escarpment and the (southern part of Queen Elizabeth National Park) Ishasha sector where you will take on yet another game drive in search of tree climbing lions before proceeding to Bwindi Impenetrable National Park. The journey takes about 4 hours but driving through interesting features. Arrive in Bwindi Impenetrable National Park in the evening. This park is home to the rare mountain gorillas. Apart from gorillas, there are a wide variety of primates to see including the blue and red tailed monkeys. The forest itself is lush and green and there are streams running through it. Dinner and overnight stay at Buhoma Lodge (Lodge Facility) Meal plan: Breakfast, Lunch and Dinner. Our Uganda and Rwanda adventure safari starts with an early breakfast before setting off early with guides to track the gorillas. The thrill of your encounter will erase the difficulties of the potentially strenuous trek. Bring jungle boots and rain jackets because the park is often wet. Spend time in awe watching the gorillas go about their activities. Each gorilla safari encounter is different and has it’s own rewards, but you are likely to enjoy the close view of adults feeding, grooming and resting as the youngsters frolic and swing from vines in a delightfully playful display. Bwindi Impenetrable Forest is a magnificent green swathe of dense rain forest, so ancient that survived the last ice age. 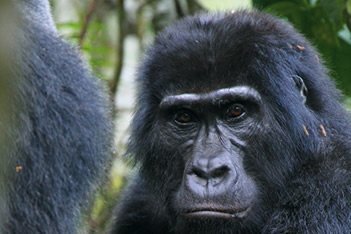 A recently proclaimed World Heritage site, its one of the most biologically diverse areas on earth and its unique, precious flora sustains roughly half of the world population of mountain gorillas believed to number just 720. There’s also a substantial chimpanzee population and research shows that Bwindi is the only forest in Africa in which these two apes live together. Time permitting, spend the afternoon on a community foot safari to explore the life style of the people living and surrounding the park. Return to camp exhilarated to relieve the encounter with friends over a drink. Dinner and overnight stay at Buhoma Lodge (Lodge facility) Meal plan: Breakfast, Lunch and Dinner. We commence our Uganda and Rwanda adventure safaris with an early morning breakfast then drive to Rwanda as you enjoy the rolling hills for which Rwanda is well known to Ruhengere via Musanze arriving in Kinigi. Dinner and overnight at Gorilla Nest Lodge (Lodge Facility). The evening is spent on sightseeing and relaxing around the hotel Meal plan: Breakfast, Lunch and Dinner. After a briefing from your guide set off to track the gorillas on our Uganda and Rwanda adventure safaris. Spend an hour in awe watching the Gorillas go about their activities. You are likely to enjoy close views of adults feeding, grooming and resting as youngsters frolic and swing from vines in a delightfully playful display. Dinner and overnight at Gorilla Nest Lodge (Lodge facility). The evening is spent on sightseeing and relaxing around the hotel Meal plan: Breakfast, Lunch and Dinner. On our Uganda and Rwanda adventure safaris we take a visit to the Golden Monkeys, the little-known Golden Monkey (cercopithecus mitis kandti) is listed as endangered, the newly habituated groups of about 40 individuals are the only ones in Africa. The Kabatwa troop is located not so far from the Park Headquarters and the Musanga troop lives near the Karisimbi volcano and has a much longer walking distance. Dinner and overnight at Gorilla Nest Lodge (Lodge facility). The evening is spent on sightseeing and relaxing around the hotel Meal plan: Breakfast, Lunch and Dinner. A visit to the awesome Visoke volcano, or trek to Karisoke Research Center which was set up by the famous primatologist Dian Fossey tombs, thereafter drive to Kigali. Dinner and overnight at Serena Kigali Hotel. (Lodge facility Meal plan: Breakfast, Lunch and Dinner. On our Uganda and Rwanda adventure safaris we encounter a city tour including a visit to the market, the handicraft shops and the Genocide Memorial Center at Gisozi, which takes a few hours. Its a touching visit! Time permitting, visit the Nyabugogo market, the Moslem quarter in Nyamirambo, and the Franco-Rwanda cultural centre. Many hotels and restaurants prepare local dishes. Buy crafts. Genocide Memorials: In Rwanda you will find all over the country Memorials to remember the genocide of 1994. The most important Genocide Memorials are those of Kigali (Gisozi) and Murambi (Gikongoro) and the most prominent one at Nyamata (some 70km south of Kigali) where the history of the genocide is explained. A visit to the genocide memorial is for most visitors an emotional event. Hence making our Uganda and Rwanda adventure safaris more interesting Transfer to Kigali International Airport for your departure back home Meal Plan B-L-D. End of Service. Souvenirs and any other items of personal nature.